We decided that visiting Lucca would be the first stop on our Tuscany road trip (the second stop being Pisa as we wrote about here). There are so many to choose from – which one of the cities of Tuscany should we visit? Our reasons for choosing Lucca over more popular destinations such as Florence was a couple of things. First, we were driving and I get really stressed about finding places to park and Lucca was a much better option than we read Florence was. 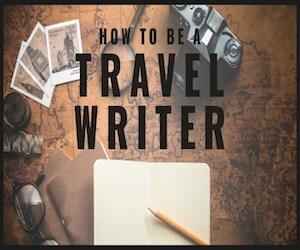 I’d also heard that it was a really pretty Tuscan town with a lovely atmosphere that wasn’t overly touristy. It was also closer and made sense for our whole trip overall. It sounded like a good compromise. Florence would have to wait for another time! Lucca is a s small walled Tuscan city and is really lovely if you want to visit somewhere not heaving with crowds. Although we did visit midweek in October, I’m not sure how it would be in August! Parking in Lucca is really easy, even though we missed the turning for where we’d planned straight away. As I said, it’s not a hugely busy town so driving there wasn’t a problem. We parked outside the city walls at the North West of the city in a parking lot there. If I remember rightly there was a small parking fee, but it was only a couple of euros. It was a very short walk to the walls and entrance to the old town and the Tourist Information was just nearby too – I recommend you take a quick trip in there to pick up a map of the town and see if anything interesting is happening. 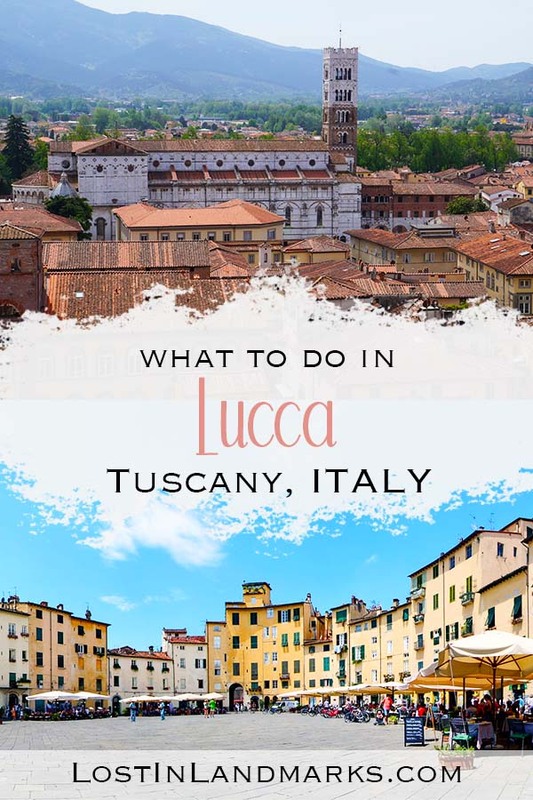 There are a number of things to do in Lucca, my favourite of which is just soaking up the atmosphere of a lovely Tuscan town! 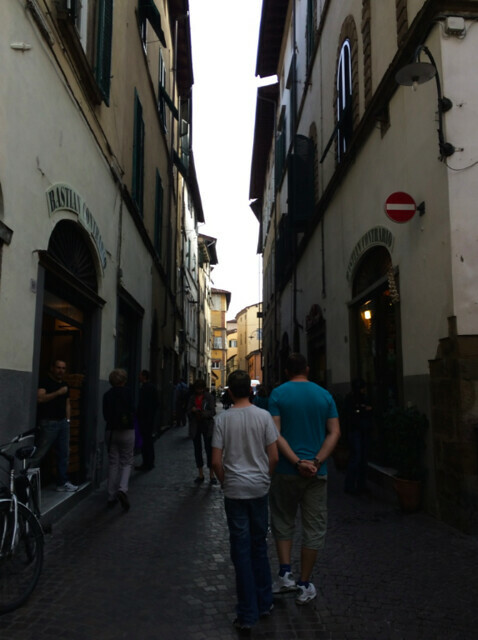 The walls of Lucca that surround the town are a good size to walk around without being too long and tiring you out. It’s even easy for kids to walk round. Passing through the walls to the old town brings narrow streets and small shops – it looks perfectly Italian! Most of the streets will take you to the main square which houses the Duomo. There was a small charge to go inside, so we didn’t bother as I don’t think my teens would have been that bothered! We enjoyed the cathedral from the outside and people watched! There was quite a few street performers in the area too. There’s also another piazza called Piazza Anfiteatro which is a quaint little oval area with houses all around the outside. It was extremely pretty with some nice gift shops, cafes and places to sit and people watch. I think it would be lovely on an evening with a nice glass of wine, but we were there in the day time! 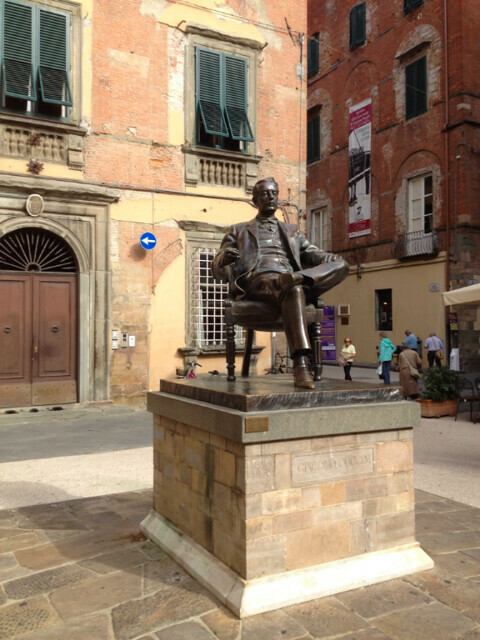 Lucca is the birthplace of Puccini and there is a small museum there if you’re interested in opera and music which is located in the house he was born in. Check here for more information. 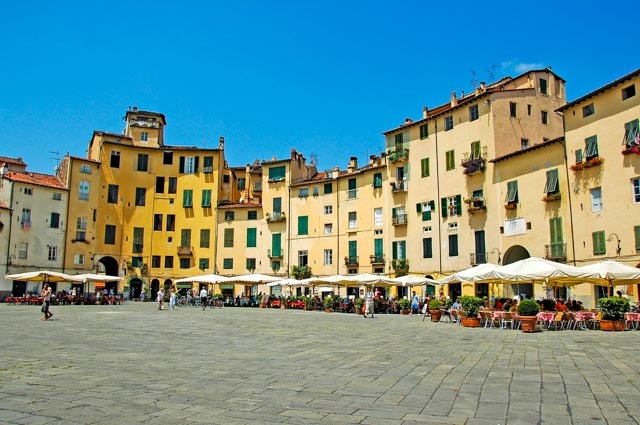 If you’re looking to visit Lucca with kids you might wonder what there is for them. 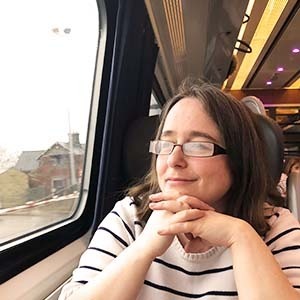 Our kids are teens and so are easier to please on a walk around a historical town – we like to learn about the history of the place and look in all the churches. If your kids need a little more entertaining, then cooking classes can be done in Lucca – which I think would be a fantastic thing to do! If they’re interested in music then the Puccini museum would be good for them too. If you’re wanting to spend the night or more than an afternoon in Lucca then you’ll be wanting somewhere to stay. Hotels in Lucca are plentiful – if you’re on a budget then a good option for families is B&B Anfiteatro which is nice and central. Check here for latest prices. 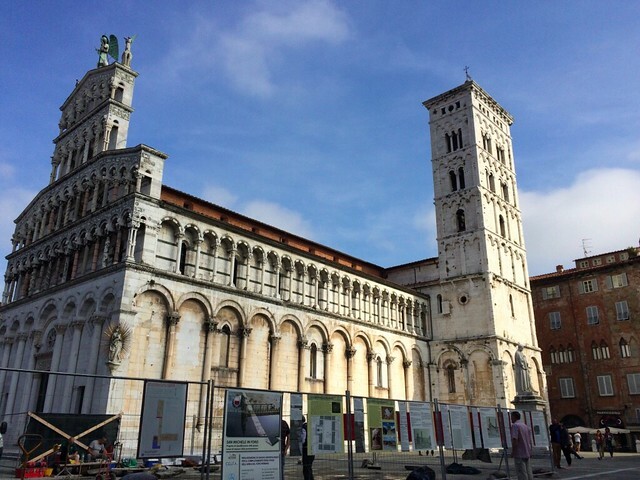 Another option is renting apartments in Lucca. I always recommend Airbnb which I have had a great experience with.